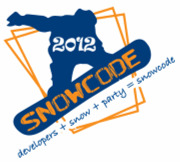 Snowcode is an awesome combination of skiing holiday, unconference and hack camp. Snowcode was started in 2010 as an experiment, organized by Alan Hemmings whom you may know from the Cambridge .NET User Group. We did it again in 2011, and in the spirit of continuous improvement, we're making a couple of changes to the format this year. We have a new venue - Chalet Joseph in Morzine - and we're going to try a more focused approach to the "code" part of Snowcode. 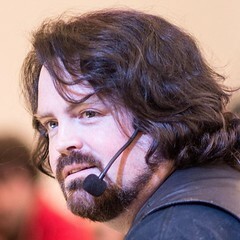 Previously, we've used an "anything goes" unconference format, which has led to workshops on OpenRasta and REST frameworks, WaTIR, ASP.NET MVC, MongoDB, automated acceptance testing, and lots of good code and great ideas. Breakfast - coffee, fresh bread, croissants, fresh juice... and a dozen or so people sat around laptops doing a quick bit of coding or catching up on Facebook or giggling at the pictures from dinner last night. Hit the slopes - if that's your thing. Morzine is in the Portes du Soleil ski area, with access to over 600km of stunning runs and spectacular scenery. The sun is shining, there's fresh powder on the ground, and your hangover's gone by the time you hit the bottom of the first run. Coding & "geeking out" - get back to the chalet, have a shower, open a beer and a laptop, and spend a couple of hours hacking, learning, coding, talking and generally working out cool ways to build cool stuff. ...and then whatever you like! Wander into town and go clubbing; watch movies, play X-box, more hacking, or just crash out early and get ready to do it all over again. A jaunt into Morzine is well worth it - it's a fantastic town with some really good bars, and the Mutzig beer is practically a Snowcode rite of passage. It's in Morzine, France, from 18-25 March 2012. Book your place via the SNOWCODE 2012 page on meetup.com - Snowcode costs £569 per person including half-board accommodation and airport transfers.
" when I ski, I live... the rest is just waiting "